With 165 5-Star reviews on Yelp!, we are proud to be a top-rated New Jersey moving company that also offers custom packing services. At our moving company, professional team of movers you hire can offer you various additional services. Whether you are moving locally, long distance or overseas, you can hire us for the high-quality packing services NJ. We helped many residents and business owners get ready for their relocation. Besides the actual transportation, our team of moving specialists will help you sort out, secure and pack your belongings in the right order. In case you want to move without additional help, we can provide packing supplies for you. On the other hand, professional packing service NJ can save you a lot of valuable time and money. Moving in New Jersey is a complex job with many aspects to consider. One of the most important parts of the moving process is packing. The way you pack your belongings makes a huge impact on the speed and efficiency of your move. Packing is also a time-consuming activity and you may not have time to spare during the hectic time of a move. You need professional packing services whether you are moving your home or your business. We offer top-notch packing service for local moves, as well as for cross-state and overseas relocation. Why Choose Vector Movers for Packing Services NJ? Simply put, professional packing services from Vector Movers will take a significant amount of stress out of your move. Our experienced, professional movers can help you pack all your belongings into boxes that will protect them and make them easier to handle. This combination of security and efficiency will reduce anxiety during your move. It will also ensure that your belongings make it to their destination intact. Most importantly, our packers will treat everything you own with respect and care. Hiring our professional packers is a good idea, especially if you are moving last minute. Sometimes, packing on your own can cause some things to break or damage during the transportation. The main reason for this is the wrong way of packing and lack of security packing materials. If you own valuable pieces of artwork, musical instruments or antique furniture, make sure to contact us for the best packing services NJ. We can be honest and say that the packing process is an art! In order to secure all of your belongings, we carefully plan the process and choose the best materials for the job. Our next step is to make a good making plan, which helps us organize and sort your things in the right order. We guarantee that your belongings will be safe and secure with us. Also, we will sort them out organize for easy unpacking when the move is complete. In case you need help after the move, our professionals will be there to help you unpack your belongings on a new location. Of course, we will also make sure to dispose of all the packing materials after the relocation is complete. If we pack your moving boxes, we can guaranty for their safety during the transportation. Commercial moving packing services – if you have a business to run, we will make sure to fit within your working hours. Our packing service NJ will also help you disassemble office furniture and unplug all the electronic devices before the move. Local and long distance moving packing services. If you need to move across the town we will take care of packing and loading of the moving boxes into a truck. For long distance moving from New Jersey, we offer specialized care for securing your belongings. We guarantee that every moving box will be safe and properly packed. Need something else? Let us know, we can get it for you! 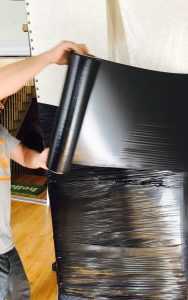 For your DIP packing process, we provide the best-quality packing materials. If you’re still unsure whether you need to hire packing services NJ, make sure to contact us. We will make sure to offer you the best value for your move, including packing services NJ. During many years in the moving business, our company gained dozens of satisfied customers who keep coming back to us. Instead of telling you about our experience, we prefer to let our customers speak in our name. 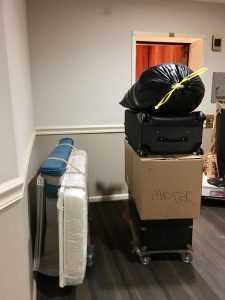 Want to add packing services to your New Jersey move or ask us a question? Call us at (201) 266-3666, and we’ll walk you through each step of the process to find the most efficient and reputable New Jersey moving solution for you!